Hello Dramatics! I am back again with another DramaFever Drama Club review for the drama Romantic Doctor! If you want to know what June, Wendilynn and I thought about the latest episodes, click here:Episodes 11-12. Also check out our reviews on Episodes 1 & 2, Episodes 3-6 and Episodes 7-10. Don’t forget to check out my You Tube Channel for updates and reviews. Let me know what you think of this drama! Leave a comment below and lets chat! Until next time Dramatics, remember to Keep Calm And Drama On! Hello Dramatics! 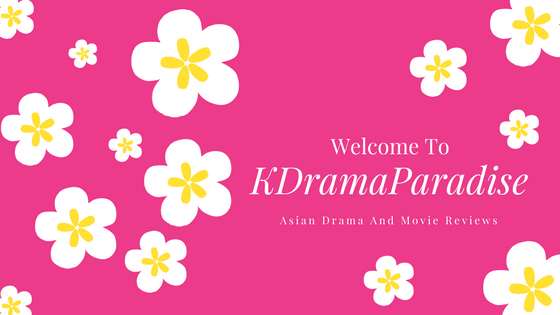 I am back again with another DramaFever Drama Club review for the drama Romantic Doctor! If you want to know what June, Wendilynn and I thought about the latest episodes, click here:Episodes 7-10. Also check out our reviews on Episodes 1 & 2 and Episodes 3-6 Don’t forget to check out my You Tube Channel for updates and reviews. Let me know what you think of this drama! Leave a comment below and lets chat! Until next time Dramatics, remember to Keep Calm And Drama On! Hello Dramatics! I am back again with another DramaFever Drama Club review for the drama Romantic Doctor! If you want to know what June, Wendilynn and I thought about the latest episodes, click here:Episodes 3-6. Also check out our reviews on Episodes 1 & 2. Don’t forget to check out my You Tube Channel for updates and reviews. Let me know what you think of this drama! Leave a comment below and lets chat! Until next time Dramatics, remember to Keep Calm And Drama On! Hello Dramatics! I am back again with another DramaFever Drama Club review for the drama Romantic Doctor! If you want to know what June, Wendilynn and I thought about the latest episodes, click here: Episodes 1 & 2 Don’t forget to check out my You Tube Channel for updates and reviews. Let me know what you think of this drama! Leave a comment below and lets chat! Until next time Dramatics, remember to Keep Calm And Drama On!